One half dozen eggs from our flock of ducks. They are raised on pasture and fed certified organic, soy free feed. Duck eggs are higher in both fat and protein than chicken eggs and this makes them superior to chicken eggs for baking. Duck egg yolks improve dough rising properties, which is important in making fluffy pastries. 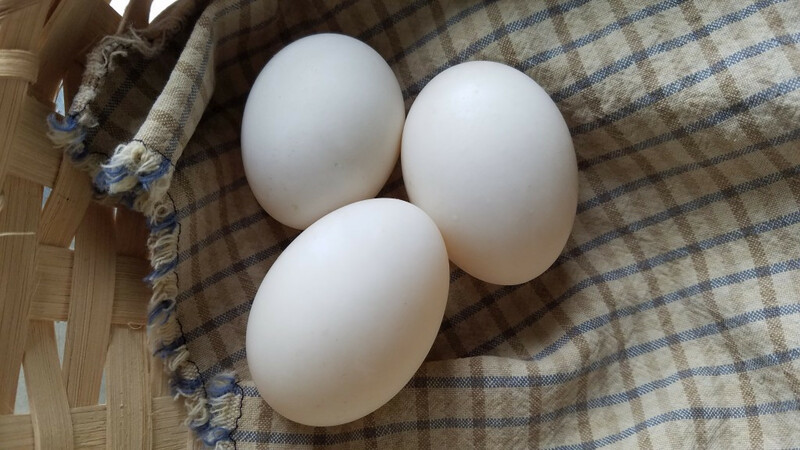 Duck eggs also help loosen up gluten-free baked products that would otherwise be too dense without duck eggs. And of course, they taste great fried, scrambled, or any other way.